Rev. James Francis Kremer, 76, of Benton, died Thursday evening, March 28th, 2019 at Geisinger Medical Center, Danville. He had been in declining health for the past year and a half. Born November 13, 1942 in Pottsville, he was a son of the late Clair Francis and Margaret Amelia (Phillips) Kremer. He and his wife, Gloria Jean (Parks) Kremer, celebrated their 35th wedding anniversary on February 11th. Jim grew up on a farm in Mifflin Township, and was a graduate of Central Columbia High School. He attended the Corning Community College, Mansfield State Teachers College and Bloomsburg State Teachers College. He was a graduate of Wesley Theological Seminary in Washington, D. C. Jim faithfully served his country in the U. S. Army Reserves from 1960 to 1968. In his younger years he had been employed by Sears and Roebuck in Bloomsburg; Montgomery Ward's in Berwick, CP&W Railroad in Bloomsburg, the PA Dept. of Transportation and Milco Industries in Bloomsburg. During his many years as a minister, he served the following Churches: Audenreid in Hazleton, Lawrenceville in Tioga County, the Catawissa Parish, Jerseytown Charge, Columbia Circuit in Berwick, Benton and Brandon/Central, Fawn Grove in York and Woolrich in Clinton County. He retired in 2008, after 41 years as a fulltime minister. He had also served as an Elder with the United Methodist Church and was a member of the Central Pennsylvania Conference, now known as the Susquehanna Conference. He did Clinical Pastoral Education at Geisinger Medical Center in Danville and served as coordinator of Chaplains at Berwick Hospital from 1992 to 1995. Following his retirement he was a member of the United Methodist Church (Susquehanna Conference), an associate member of the Waller United Methodist Church, an associate member of the Benton Christian Church (DOC) and had a special love for media and contemporary music. Jim enjoyed working with youth at church camps, youth soccer, wrestling and Cub Scouts. He was a PIAA Wrestling official for 25 years. He and Gloria did extensive traveling and visited Florida, Canada, England, Germany and Holy Land tours to Israel. He especially enjoyed spending time with the love of his life, Gloria. They enjoyed Cross-Cutter Baseball games in Williamsport, riding on antique railroads, attending family get-togethers, going to area carnivals, parades as well as the Bloomsburg Fair. He collected a root-beer mug from the Bloomsburg Fair for each year with Gloria from 1983 to 2018. He also enjoyed fishing on the Susquehanna River, playing pool, and golf. He enjoyed Barbershop singing and was a past member of the Columbia-Montour Chorus and was the Barber-shopper of the year in 2001. An avid outdoorsman he enjoyed fishing, hunting, working in the garden, growing flowers, baking pies, riding bicycles, motorcycles, "Big-Red" tractors, photography, collecting Coca-Cola items, key chains, and ties. He studied and appreciated Native American culture and attended Pow Wows over the years. Jim was also a well known ventriloquist and enjoyed allusions and story-telling. 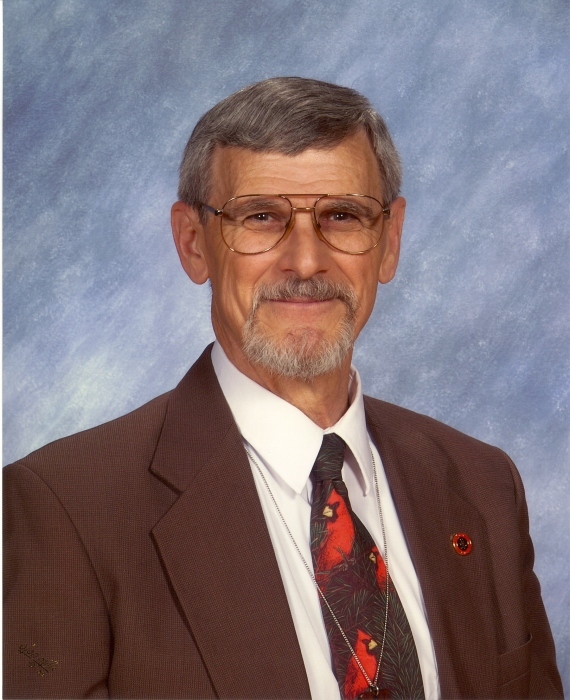 He was a member and treasurer of the Benton Area Rodeo Association, Oriental Lodge, No. 460, F. & A. M., Orangeville; Caldwell Consistory, the American Legion and the Benton Senior Citizen Center where he enjoyed playing pinochle. He had also served on the Penn State Extension for Columbia County; was a Cub Scout and Council Leader for Columbia County. In addition to his wife, Gloria, he is survived by the following children: Nora (Kremer) Seville; Michael Kremer and his wife, Suzanne; Nancy Jo (Kremer) Pugh; Robert Seltzer and his wife, Megann; Vicki Parks and Traci Seltzer. Also surviving are 19 grandchildren and 8 great grandchildren; a sister, Margaret (Kremer) Kalie and her husband, Bob; two brothers: David Kremer and his wife, Pam and John Kremer. Funeral Services will be held Tuesday, April 2nd, 2019 at 2 PM at the Benton Christian Church, Third and Church Streets, Benton, with the Rev. Dr. David A. Mansfield, officiating. Burial will be in the Benton Cemetery. A Viewing will be held Monday evening from 5 to 8 PM at the Benton Christian Church. In lieu of flowers, contributions may be made in his memory to the Benton Christian Church (DOC) Capital Campaign Fund, P. O. Box 264, Benton, PA 17814.